Hit and run accidents are devastating in so many ways. Not only do they cause destruction, personal injury, and even death; they also eek away at one’s faith in human decency. Sadly, Florida hit and run fatality statistics are among the worst in the country. 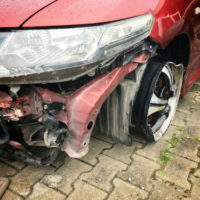 If you are the victim of a hit and run accident that results in serious injuries or death, a qualified personal injury attorney may be able to help you obtain some modicum of justice. Nearly 700,000 hit and run accidents occur annually across the USA. Hit and run fatalities have been on the increase across the nation for more than a decade, and involve bicyclists or pedestrians in 65 percent of cases. In fact, the death toll rose by 60 percent from 2009-2016, which is over 7 percent per year. Here in the Sunshine State, there were over 200 hit and run incidents reported in 2016, with one fatality. A 56-year-old man who was riding his bicycle was struck by a vehicle in March 2018, and lost his life as the driver sped away. They believe the incident was a minor blip that is no big deal, and they have places to be, so they take off. Do Fleeing Motorists Ever get Caught? Oftentimes there is video of these accidents from nearby businesses, homes, or the roadway itself. Eyewitnesses can be questioned to narrow down the search and later identify drivers and/or their vehicles. There’s one other way that law enforcement is able to catch up with hit and run drivers. In some situations, drivers succumb to a guilty conscience and turn themselves in within days of the incident. This is particularly true after seeing news coverage of the incident. It is against the law to leave the scene of an accident in Florida, particularly when serious injuries or death have resulted. If you have been victimized with this type of scenario, the experienced legal team at the Law Offices of Robert W. Elton can help. Contact us in Daytona & Ormond Beach for a confidential consultation today.